Most men let the women in their life choose their scents for them (girlfriend, wife, sister...). This presentation will encourage you to take charge of their olfactory world and pick a scent that truly represents who you are without worrying too much about what everyone else is thinking. You will discover it is not nearly as important as you may have thought! And for the ladies who will be eavesdropping through the keyhole, we will give some surprising tips about how to use your espionage skills to pick the right scent for a man in your life, even if you hardly know him. 3:30 Espionage treasure hunt with prizes! To RSVP for the party, please email/call or on the Facebook event page. You can also you can get your tickets online here ($10 per person to cover my cost of supplies for baking all the above-mentioned goodies!). It will charge you $3 online plus $7 at the checkout for "shipping". Please note: You will be reimbursed for the $10 if you make a purchase at the studio for $10 or more. Upon receipt of the payment, you will be emailed the secret password that will allow you entry to the tea party. Sorry, Smelly Readers, for taking forever to make that draw for the Mother's Day giveaway. As the lack of action on this blog can prove, my life has been too busy to blog lately (particularly in the business front). As it turns out, the winner of the Indigo sample is Mama G.
I promise to be back with another giveaway come Friday, and also I have a very fun post coming soon (tomorrow, actually) about scents to wear on a 1st date, so stay tuned! I'm very excited to announce that I just got the news of being accepted by the jury to the Vancouver One Of A Kind Show & Sale!!! This is the 3rd year in Vancouver, and will be hosted at the new Vancouver Convention Centre. I'm so thrilled to be able to offer my perfumes in such a wonderful show. It really showcases the most amazing artists of North America and I'm just so fortunate to be able to join them. The show has been around for 30-something years, and there are also shows in New York City, Chicago and Toronto. And if all goes well, I am hoping to be able to visit the other cities in 2011 for their shows. Visit Basenotes to read Walker Minton's article High Fibre Fragrances (or How I Discovered Natural Perfume). The Non-Blonde ran a giveaway for a mini of Yasmin perfume last week, and the winner was announced today: Jane (See_Jane_Sell), a fellow Canadian perfume lover. Congratulations, Jane! I hope you enjoy Yasmin perfume. Visit ScentHive to read Trish's review of Cabaret, my rahat-loukum inspired perfume. 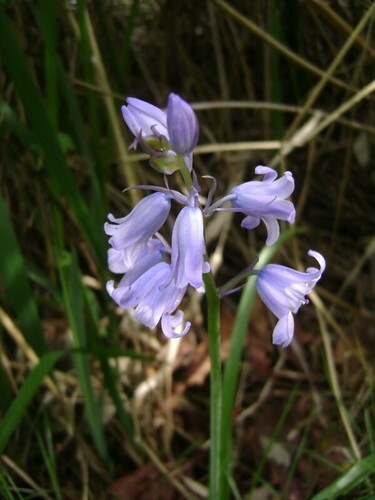 Bluebells, originally uploaded by Ayala Moriel. I hope all the mothers among you were treated well today and got the appreciation you deserve! I always associate purples and blues, and violet, iris and lavender scents with my mother: If she were ever to be a perfume wearer, I would imagine her wearing l'Herue Bleue or Apres l'Ondee. The violets and heliotrope in both are exactly what I associate with motherhood: tenderness and mystery. Today I wore Indigo, the perfume I created for my mother. 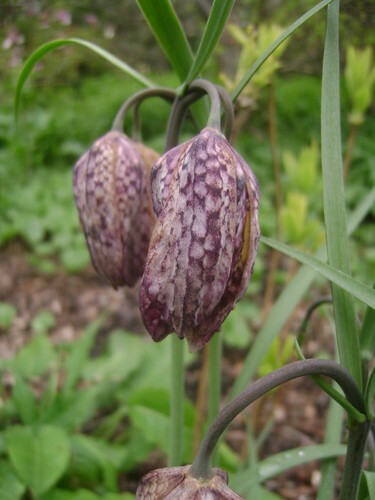 At its heart are violets, supported by boronia and iris, the spiciness of carnation and the opulence of orange blossom. It's an odd perfume in my collection and not really accessible. The top notes are strange: caraway and anise. But they really complement the unusual boronia and violet perfectly. The base is incense and amber with suave cedarwood from the Himalayas. What scents do you associate with motherhood, and which perfume did you wear today? Comment and enter to win a sample of Indigo perfume! Last couple of weeks have been more than busy. And that means very little blogging for me, which I am very regretful about. As far as writing goes, I've been busying myself with some writing (an ongoing project with Eden Botanicals), as well as a lengthy proposal writing as part of an application process to a prestigious event that I really want to participate in this coming winter. And what has been taking the best part of my time are the shows and fairs. It seems that every weekend there is something happening and I have very little if any time at all to reflect and recollect my thoughts and share them with you here. But what you're probably more interested to hear about is what I've been brewing in my little studio (pictured above, you finally get to see where I work and create all my sweet smelling stuff). Well, I've been working on several custom perfumes, simultaneously. A higher than usual number of them this month, actually. Which is very exciting! Custom perfume creation is one of the most challenging, fun and rewarding parts of my work. And they are all turning quite interesting too. That's the part I like the most about custom scents - the ideas of scent combinations that I've never thought of before and probably never would have thought of either. I've been also formulating scented body oils, which is something that I hope to add to the product line by the 2010 holiday season. The most successful of all is Song of Songs, which deserves a whole post on its own. I've been meddling with a few other scents but am not as happy with the results as I am with the Song of Songs body oil. In fact it is so fantastic that I've nearly used up my 50ml trial bottle (well, 15ml of it went to Laura to try as well!). And I have a few other perfumes I'm working on for quite sometime (not that my collection needs any additions, mind you!). I usually tend to obsess with just one particular topic for a while, until I get it right. Right now though, I'm less focused than usual, and I have a few experiments going on simultaneously for a few months, which is rather confusing, to the point that unless I look at my notebook or my treasure box of "in progress" - I would really be having a hard time explaining to you what I'm up to! A few of them have an osmanthus theme. It's a very tricky note and I am trying to explore ways of pushing it further to different directions, including the perfume I've been processing in my brain forever as a tribute to New Orleans. Another note I'm trying to push to the max is clary sage. There is so much potential in clary sage that I only am now beginning to discover - amber and tea are the two interesting focal points that I'm exploring in this note. Tobacco is another theme that has been going on for a while. I am working on a very specific tobacco scent that I really, really, really hope would turn out well. 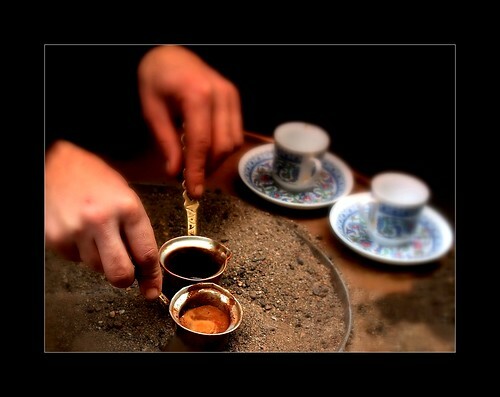 The concept is that of fruity narguilla (aka shisha or hooka) tobacco. Anything fruity is a challenge with all naturals, and those tobaccos are so artificially flavoured it's difficult to nail down something of that atmosphere. But more about this later. It really does deserve a post (or more) of its own, so you get to take a peek at what's happening behind the scenes with that one. And aside from all these wonderful aromatic explorations, I've also am going back to school to study French! Which is so exciting. It seems that there are just not enough hours in the day to get everything I want done and learn everything that I want to learn. It's time for bed now... However, I will be back more this coming week with more thoughtful insights into raw materials and my creative process turning them into perfumes. 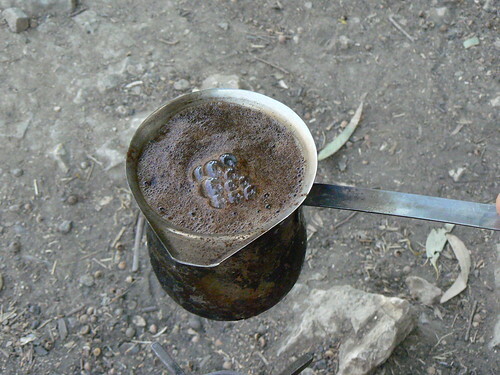 This post is part of Roxana Villa's May Flower blog project. Visit her Illuminated Blog for a full list of participants and links to their articles. I'm going to take you for a little walk in the gardens I frequent in the West End. Summer arrived here early, after a very long spring that began sometime in December. Spring and summer flowers are blooming in succession as well as simultaneously. These photos were actually all taken on April 24th. Vancouver is one big flower party these days! 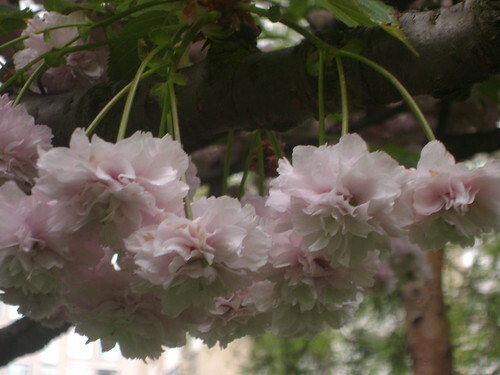 Cherry blossoms, certainly the symbol of spring, or even early spring if you wish. They are still decorating the city by the hundreds, refusing to leave the party. They want to observe the summer flowers too! 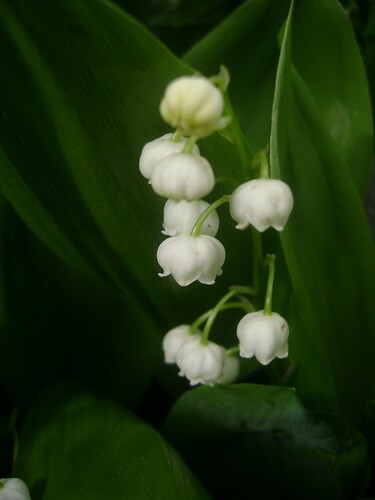 Lilies of the valley are rather rare in these parts, and this is the very first time that I've seen them in such abundance. With their tiny bells they announcer of summer, just like snowdrops announce the end of winter. They remind me of hidden gardens and all things bright and green. Bleeding Hearts, originally uploaded by Ayala Moriel. 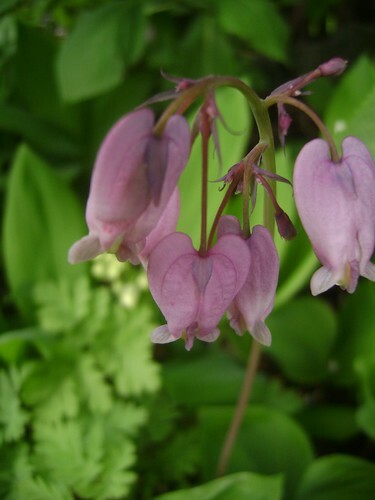 Wild bleeding hearts are perhaps not as impressive as the cultivated and more defined variety, but they are such a romantic reminder of love gone wrong. I imagine their scent to be green and poisonous, although in reality they have very little to offer in the world of scents. Chocolate Lily, originally uploaded by Ayala Moriel. 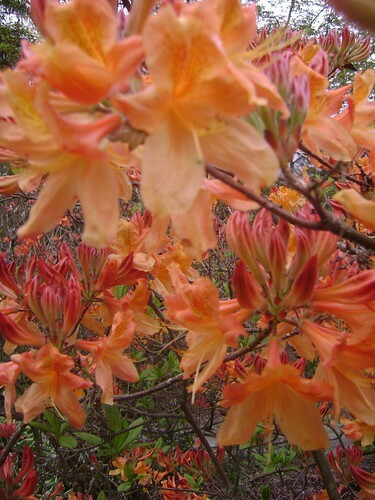 Coral Rhododendron, originally uploaded by Ayala Moriel. 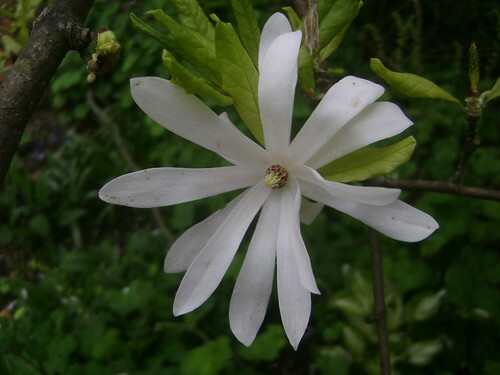 White Magnolia, originally uploaded by Ayala Moriel. Star of the show, this dwarf white magnolia is such a beauty, even if not as fragrant and gigantic as the others that were blooming earlier this spring. Pink Rhododendron, originally uploaded by Ayala Moriel. 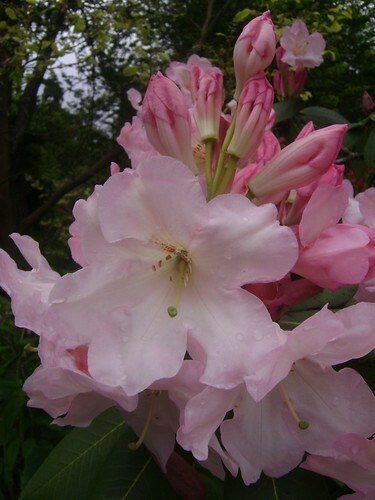 This big pink rhododendron was a surprise to me, because the large bell-shaped ones tend to be nearly odourless. This was a complete perfume, and smelled like a dewy orchid. It was simultaneously sappy, resinous and a little pine-like and soapy. 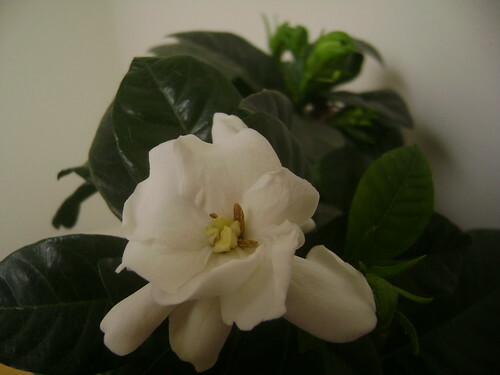 Gardenia, originally uploaded by Ayala Moriel. Even my gardenia plant, which always refuses to open its buds, has opened several flowers that were tightly sealing their fragrant secret written on white petals and coiled in a green capsule that only summer knows its access code. We already have lilacs and peonies blooming, as well as elder flowers. I wonder: what will be left for summer? Thank you everyone for voting in the tea poll! I'll keep it open for a while longer, to get some more feedback from you till the end of the month, because we won't start working on the new tea till June. So far the white tea is leading (which is what I was hoping to create anyway! Maybe I can read your thoughts and didn't known it till now?). Congratulations, and please email me with your current mailing address so I can get your prize shipped this week.